Michaela Glöckler speaks on themes relating to the esoteric path of spiritual development and its therapeutic task for the individual and community. Giving an account of the evolution of the ancient mysteries in relation to medicine, she discusses the application of inner work in outer action, reflecting on modern social and ethical issues such as organ transplantation and the termination of pregnancy. Whilst the author primarily addresses those involved in the healing professions, this book will be of interest to anybody concerned with a new science of the spirit. 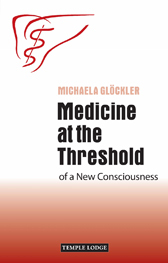 DR MICHAELA GLÖCKLER has been leader of the Medical Section at the Goetheanum, School of Spiritual Science in Dornach, Switzerland, since 1988. She attended the Waldorf School in Stuttgart, then studied German language, literature and history in Freiburg and Heidelberg. She studied medicine in TÃ¼bingen and Marburg and trained as a paediatrician at the community hospital in Herdecke and Bochum University Paediatric Clinic. She worked in the children's outpatient clinic at Herdecke and served as school doctor for the Rudolf Steiner School in Witten, Germany. Michaela has many publications in German, and is a co-author of A Guide to Child's Health.